You wouldn’t use a hammer when what you really need is a laser level. At Universal Roll, conveyor rollers fill our toolbox. We know when a UR Nordic conveyor roller will suffice and when a UR Premium roller is needed. With conveyor systems, one size does not fit all. Roller customization helps to ensure the safe and speedy transport of materials along a conveyor line. Designing a successful system requires skill, experience and precise calculation. A number of different factors must be taken into account, including specific industry needs, the type of material being transported and the speed and capacity of the system. The type of material being transported dictates the size and capacity of a conveyor system and the manner in which the rollers operate. A system designed to transport cardboard boxes will likely not serve the needs of a high-capacity mining company transporting minerals, sand or other bulk materials. Drive Design and Output – Is your product soft and flexible or hard and rigid? The flexibility of transported material directly affects the design of a conveyor roller system. Harder materials, such as metal or stone, have a lower starting and rolling resistance than softer materials, such as sand. Rolling resistance, or drag, is the amount of resistance an object encounters as it travels steadily along a straight line. Rolling resistance and starting resistance determine the amount of power required to move an object. Our conveyor systems are designed for maximum load capacity, regardless of the type of material being transported. The base of some material may be covered in ruts, hollows or ridges. Such material variations must be accounted for in a conveyor roller design. Our custom conveyor roller are designed so that drive output can easily be adjusted. Roller pitch is calculated in advance to maximize speed, capacity and performance. Pitch – The roller pitch is calculated to ensure that a minimum of three conveyor rollers are continuously positioned beneath your product. Run – The ratio of length to width affects the stability and straight run of your product. For instance, if the length to width ratio is small, then additional stabilization may be necessary for straight running. Reference Length – The formula for determining reference length is width + 50 millimeters, or 1.97 inches. For large pallets or oversized items, the formula must be adjusted to width + 100 millimeters, or 3.94 inches. When conveyor rollers are tapered, i.e., for curves, additional calculations must be made. As the height of a product increases, its footprint remains constant. This can result in material falling over during transport along the conveyor. This can be avoided by: 1) maintaining a constant rate of acceleration; 2) Avoiding sharp braking; and 3) minimizing roller pitch so that the largest surface area always maintains contact with the conveyor. Accidents can be avoided by predetermining the potential risk of objects falling. To do this, we calculate the material’s center of gravity. Weight Distribution – In a perfect system, the weight of all transported material is distributed evenly across the conveyors. In reality, uneven distribution sometimes occurs. In such cases, our goal is to minimize the unevenness by maintaining the proportion of load-bearing rollers. Load Capacity – Weight distribution allows individual rollers to remain below their maximum weight capacity. Larger diameter tubes have larger capacities and threaded shafts provide additional reinforcement. Drives – Universal Roll provides a large selection of products that can be customized for specific applications. Outside of material concerns, other issues can affect the operation of your conveyor system. Will the system be housed in an area with high humidity or intense heat? Do you expect heavy build-up along your rollers? Do you require that your new system integrate seamlessly into your old one? Do you need technical direction or written documentation? A qualified conveyor roll manufacturer will ask these questions and others to determine the custom design that best fulfills your business needs. 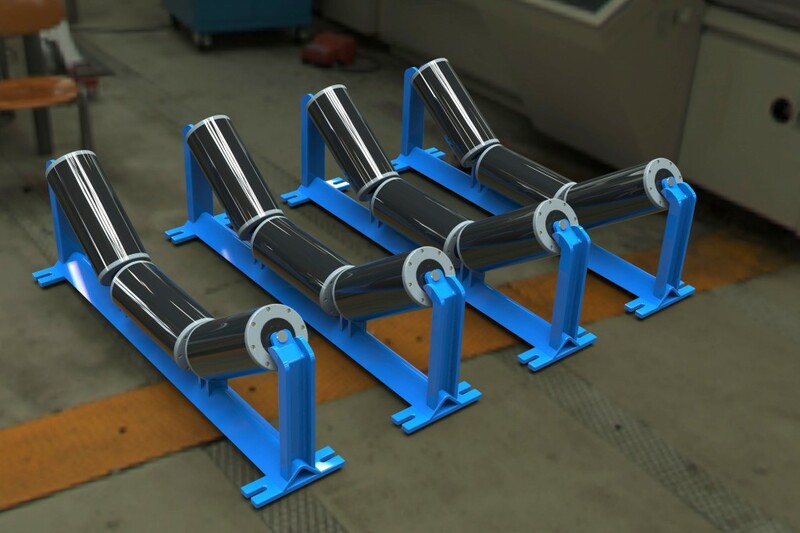 Customized conveyor rollers allow for maximum efficiency, output and speed – so long as they are properly designed, manufactured and assembled. Because so many variables must be predicted and accounted for, avoid potential pitfalls by choosing an experienced conveyor roller manufacturer.